MOSI Hosts Scrabble Fun Day! Hey everyone! Travis back with more fun Tampa Bay entertainment options for you. We are heading back to the largest science center in the Southeast US...MOSI! In celebration of National Game and Puzzle Week, MOSI will be hosting a SCRABBLE Fun Day with puzzling activities for the whole family. 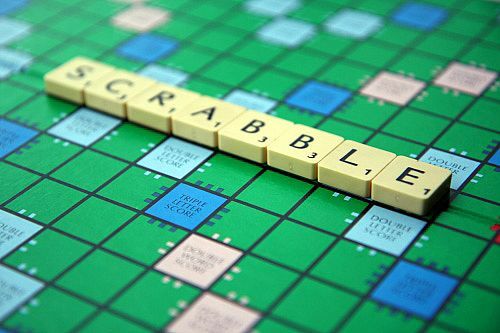 On November 28, from 11 am to 3 pm, visitors can challenge players from the National SCRABBLE Players Association to a competitive style game. Guests can also watch two SCRABBLE experts play each other and learn the strategies and ideas behind competitive play. Additionally, the National SCRABBLE Players Association will be displaying SCRABBLE memorabilia and boards. The Fun Day will take place inside Mindbender Mansion, MOSI’s limited engagement exhibit featuring brainteasers and puzzles for the whole family. The exhibit (running through January 3) challenges visitors to unlock a series of clues and become Master Mindbenders. With more than 45 brainteasers and 5 group activities, Mindbender Mansion has activities the whole family can enjoy. If you&apos;re looking for more information on Mindbender Mansion and Scrabble Fun Day visit www.mosi.org. And as always, keep checking back for more info on Tampa Bay area events and great things to do in Tampa Bay!